The sport of pickleball is now in full swing at the Fulton County Senior Center, 240 Clinton St., in Wauseon. Sessions will be offered Jan. 15, 22, and 29, 8-10:30 a.m. Pickleball is an active game for two or four players combining elements of table tennis, tennis, and badminton, and using a paddle and Wiffle-type ball. Beginners are welcome; players are required to bring a change of shoes for the court. 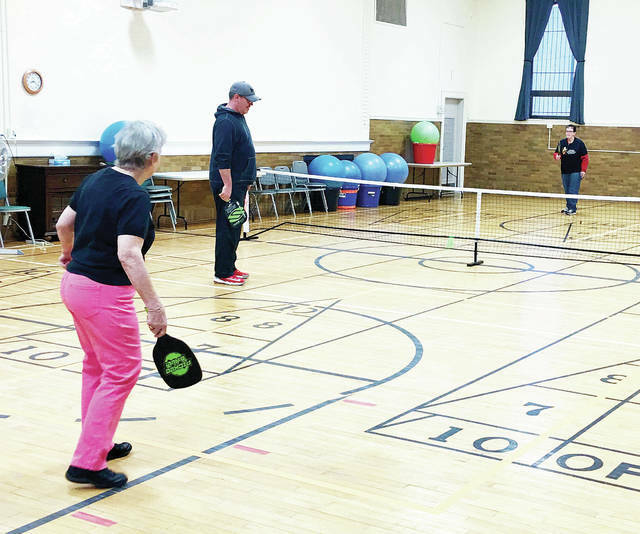 For questions or more information, call 419-337-9299.
https://www.swantonenterprise.com/wp-content/uploads/sites/23/2019/01/web1_Pickle-Ball.jpgThe sport of pickleball is now in full swing at the Fulton County Senior Center, 240 Clinton St., in Wauseon. Sessions will be offered Jan. 15, 22, and 29, 8-10:30 a.m. Pickleball is an active game for two or four players combining elements of table tennis, tennis, and badminton, and using a paddle and Wiffle-type ball. Beginners are welcome; players are required to bring a change of shoes for the court. For questions or more information, call 419-337-9299.